You must get an MOT test every year once your vehicle is 3 years old. You can’t drive your vehicle on the road if the MOT has expired. Your vehicle should be “Retests” retested at the same test centre which did the original test. From 18 November 2012 car and motorbikes made before 1960 also won’t need an MOT. Whatever your servicing needs, we have a service to suit you. You can have your car serviced without affecting your manufacturer’s warranty providing your vehicle is serviced & maintained in accordance with the vehicle manufacturer’s instructions during the manufacturer’s warranty period. You have the right to have the work undertaken by an independent garage without affecting your warranty. Warringtons of Warwick will ensure your vehicle is serviced in accordance with their instruction. The Long Life Servicing is so called because there are no fixed service intervals. Depending on how you drive your car, a service will be required anywhere between 10,000 miles or 1 year (whichever occurs first), up to a maximum of 20,000 miles or 2 years (whichever occurs first). The Long Life Servicing has been made possible thanks to the development of new engines using very high specification Long Life oil. These engines have built-in sensors to constantly monitor the oil quality, making it possible to enjoy longer service intervals. We recommend the Long Life Service if you drive more than 12,000 miles a year, regularly drive long distances, or your car is less than 7 years old. The Time & Distance Service is a more traditional service regime which takes place every 10,000 miles or 1 year (whichever occurs first). We recommend this service if you are likely to drive your car less than 10,000 miles in a year, you mainly drive short distances with lots of stopping, starting and cold starts, you drive your car primarily around town, or you enjoy a more ‘spirited’ driving style. 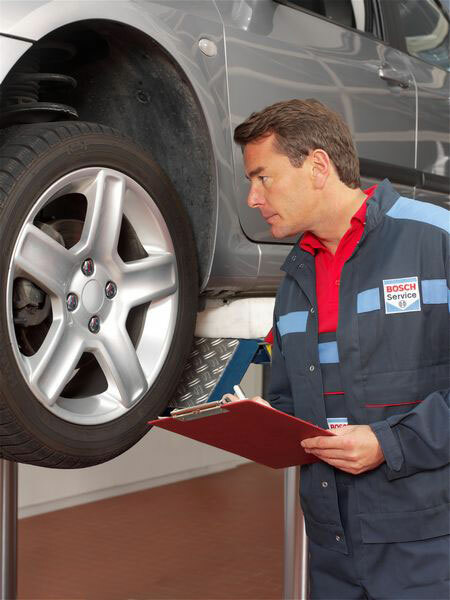 We have invested greatly in BOSCH and AUTO LOGIC Computer Diagnostic Equipment and Training. We have DEALER LEVEL DIAGNOSTIC EQUIPMENT for MERCEDES, VOLKSWAGEN, AUDI, SEAT, SKODA, PEUGEOT, RENAULT and CITROEN. This gives you the confidence in us to undertake any service and repair work required and enables us to specialise without you having to involve the main dealer. Here at Warringtons of Warwick Ltd we have invested heavily not only in the latest diagnostic equipment but also in staff training in these specialised areas to ensure that we can detect and resolve almost any electronic fault. If your air conditioning is working properly it will have a definite cooling effect. You can test this yourself quite easily by turning on your blower to a medium setting, the air ventilation blower to the centre face vents and set the temperature to minimum then turn on the air conditioning. Note the engine must be running and the outside temperature needs to be over 10 degrees centigrade for the air conditioning to work properly. We can, however, test it for you. Just give us a call. If you notice that your air conditioning is less effective or even ceases to function completely, it may need a re-gas, over a period of time it is possible that the refrigerant escapes, as long as there are no leaks can easily be re-gassed. The way we do this is to remove any residual refrigerant gas, vacuum the system and recharge. The only way to know if you need a re-gas or if you have a leak is to have the system inspected and pressure tested. At Warringtons of Warwick a pressure test is free. The most common problem is loss of refrigerant, which can happen unavoidably over a period of time through seals and connections. It can also be lost because of a leak. The most common place for a leak is from the condenser, this is a heat exchanger and is usually positioned at the front of the car in front of the normal engine radiator, because of its vulnerable position it can get damaged from stones, salt and other road debris. Other common failure is the magnetic clutch which enables the compressor to be driven by the engine. Warringtons of Warwick have extensive knowledge of service, leak detection and repair across all vehicle types. Few things are more frustrating (or inconvenient) than a car which won’t start. To ensure dependability and a long service life, it is important to ensure that a replacement battery meets the manufacturer’s original specifications. Here at Warringtons of Warwick Ltd we carry a wide range of Bosch car batteries to ensure that we can meet most of our customer’s requirements off the shelf. Even batteries for specialised applications can normally be sourced within a few hours. If you think you are experiencing an injection problem please call us. © 2019 Warringtons of Warwick. All Rights Reserved. Design by Dupe Creative Ltd.